If a team playing football shifted its goal post every time the opposite team was going to score a goal – or cricket stumps were shifted every time the other team was about to hit the stumps for a run-out -- what would you call that game? Unfair? Unethical? But that seems to be the strategy that some commercial “service providers” resort to, in their pursuit of profits. Customers protesting about their rights can go boil their heads. Moneylife carried a report on 21st November by Yogesh Sapkale, about the inability of the Telecom Regulatory Authority of India (TRAI) to monitor service providers’ rules and accountability. On 28th November, when I was in hospital for follow up treatment after a surgery, I received an SMS from my ‘service provider’ Airtel, saying that my outgoing calls facility will be terminated from the following day (one day’s notice!). This, despite my having Rs130 balance in my pre-paid account. While recharging my account with Rs500, I had expressly chosen a scheme that did not have a limited-time validity. I went straight from the hospital to the nearest Airtel office and checked. I was told that I have to put in additional money, at least Rs23, to extend my account by another few days. Why am I being forced to make calls worth Rs143, in less than four weeks? I am not a teenager engaging in long chats with friends, I am a 78-year old patient, with a mobile meant only for emergencies. On 29th November I got another SMS from Airtel saying that they have “changed their base tariff”, and so I need to pay in more. Under what rule are they changing rates for existing customers, without informing them in advance and without their express agreement? You do not go to a shop, make a purchase after checking the price and paying, only to be told as you walk off that they have “changed their rates” and that you need to shell out more. Not done. I sent an email to Airtel protesting, and asking for a refund of my existing balance, or extending its validity as per the original agreement. There was no reply. I also pointed out that I had sued Airtel once earlier, under the Consumer Protection Act, for harassment, and won compensation. The magistrate had even passed strictures against Airtel, saying that they should be “ashamed to harass an elderly customer like this.” I sent an email again, saying that I will not hesitate to sue again. There has been no reply, nor even an acknowledgement. The staff at the Airtel outlet says they are sending such SMSs to “all customers” – as if that justifies the extortion! Out of the millions of mobile users in the country, many will be too busy to protest, or sue, they will quietly curse and pay up. Which means Airtel gets away with unfair business practices, in its pursuit of profits. Call that a “service provider”? The cruel irony is that, according to news reports, TRAI chairman RS Sharma had on 27th November sent out instructions to all service providers instructing them not to change rules, and “not to block customers’ outgoing calls, if there is sufficient balance in their accounts”. This means that Airtel sent out messages to its customers a day AFTER receiving such instructions from TRAI, and followed it up for good measure, again, two days later. What kind of “regulations”, or business ethics, do we have here? Like so many others, I too registered for the DND (Do Not Disturb) facility. I keep getting unwanted promotional calls, regardless, which is a nuisance. I registered once again, to block unwanted calls. They continue to come in. Once when I complained about a nuisance call, I was told that just giving the time and number it came from is not enough; I need to send them the contents of the call. This means I need to listen to the whole spiel, jot down the contents, and send it on? Surely, I have better things to do? If sufficient number of customers migrated to another service provider, that could teach the errant company a lesson, but as I said, customers are often busy running the rat race, and do not have the time to register their protests by terminating their accounts. Also, if I have money in my account, why should I forfeit it? My demand for refund has brought only a deafening silence from Airtel. So what are my options – keep shelling out, to enrich an unethical service provider, or go through a prolonged court case, or take sanyaas and run away somewhere? Suggestions, anyone? Moneylife sent an email to Airtel seeking their views or comment on this story. We will update this article as and when we receive any response from Airtel. Airtel is a typical Delhi based company. .With Karolbagh h q??!! We have one idea prepaid which us now Vodafone and they did the same thing, gulping up a balance of Rs.300 in 2 months and threatening blocking of outgoing. Went in for a recharge to avoid this but definitely it is unethical on part of Vodafone. The TRAI Consumer handbook is being openly flouted. year of expiry of their current license." Unfortunately, Vodafone is being allowed to surrender their licences and permissions and so to flee from India (presumably leaving all their litigation and spectrum demands behind) to Birla group to "settle" for them. This is Kingisher/Nirav Modi type scam on 100x scale. Even Idea and Vodafone is practicing so. Need action against all three. Airtel is known for such harrasments. 1. I remember Airtel was not responsing at all to change my subscriber from Airtel to Other subsribers intentionally to feel fed up and continue using Airtel if wanting to keep the Same Number. I decided to lose it and move on. 2. About a year ago, Jio users had problems to reach Airtel users. If i’m not wrong, TRAI looked into this matter and warned to bot intentionally block calls. I too faced same issue. thanks for sharing n voicing against provider. can u please share emailid where I can also complain. I had a very similar experience with Airtel last week. 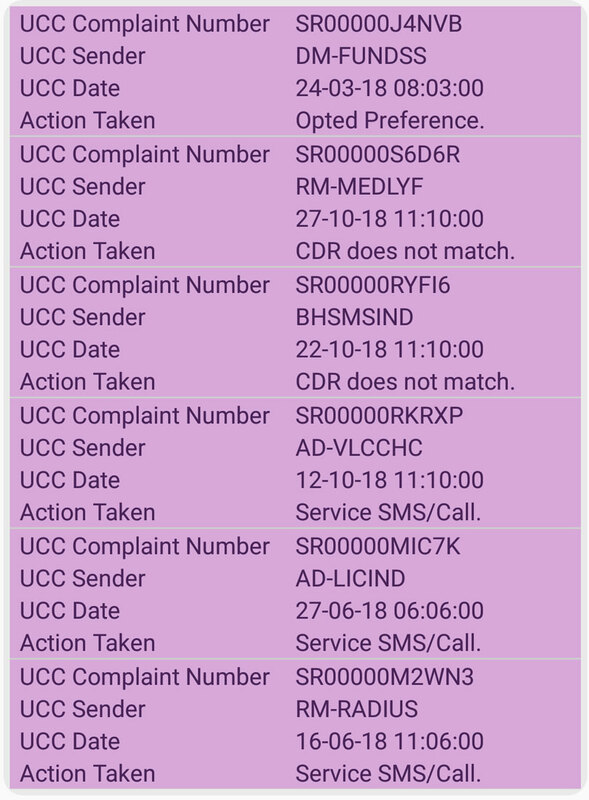 When I had more than Rs.500/- in my pre-paid account, they forced me to take a package for 84 days saying otherwise they will terminate the outgoing calls. I talked to Airtel customer care, but they were unhelpful quoting "company rules". Actually I will not be using the data or free calls offered by this pack, and it is a total waste of money for a person like me (aged 78). I am forced to keep this Airtel connection as it is linked to my bank account, Indane gas account etc., otherwise I would have thrown out this fleecer long time ago.! It is not only Airtel. Vodafone is also harassing the customers the same way. I have a vodafone unlimited validity plan and having sufficient balance available in my account. 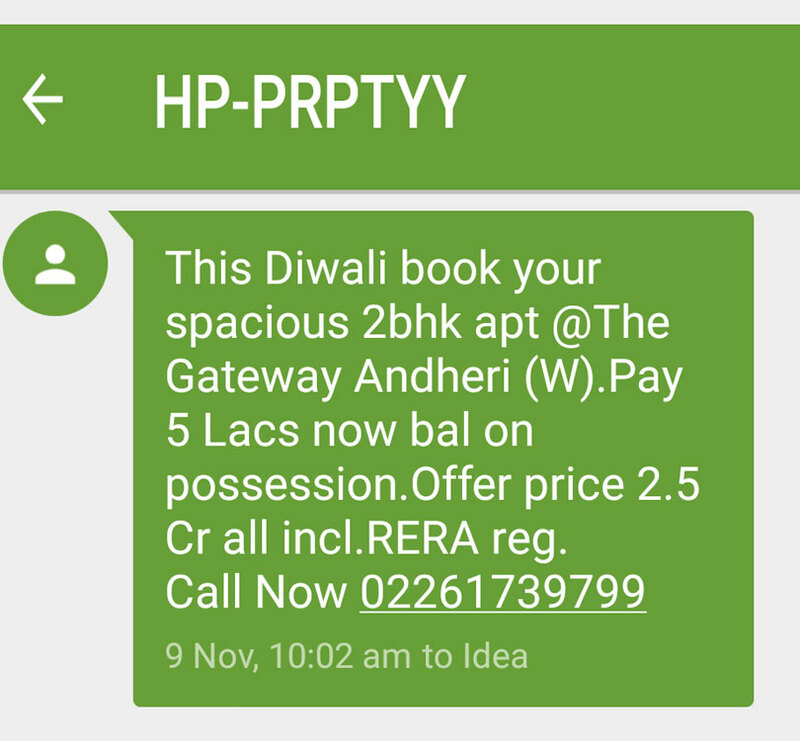 Still they kept on sending the messages to stop the services if i do not recharge with a minimum amt. of Rs.35/- valid for 28 days only. Similar is the case with my airtel account, wherein i had a balance of about Rs.1500/- still they asked me to recharge my account if i wish to continue. Why can't the courts or the concerned authorities take cognizance of such high handed ness of these service providers. Whose services are always marked with frequent call drops and low speed data service. All telecom or mobile providers are doing the same. (Idea/Vodaphone is the same). This is what I call as "Metric" driven development. A few years ago, stock markets used to reward telecom service providers for having greater subscriber numbers (absolute or additions in a quarter). Out of this was born: Lifetime validity recharges. Free Sim cards. No one disconnected a sim, everyone kept TWO sim cards. Dual SIM became a rage, as maintaining a SIM card was ridiculously low charges per month. Many don't remember this, but before all this, even on pre-paid there was a monthly cost (I recollect the plan I was in was 1 RE/Day at-least deduced from balance). The above caused a DROP in ARPU (Average Revenue Per User). But this was more than offset by some of the premium users, who used to spend thousands per day on these networks. Then Reliance Jio came into this world. With a unique proposition to the stock market: Subscriber numbers + Minimum ARPU. If you see a Jio plan, there is no better plan than the Rs. 399 / 84 Days (minus Rs. 50 discount voucher that everyone has). This tariff plan fixed a benchmark for ARPU for Jio. If you see their reported ARPU it is near this (dragged a bit lower due to Jio Phone perhaps). Now, the investors and stock markets are using ARPU as a measure of health for service providers. The problem for incumbents such as Airtel, Vodaphone-Idea (no one else is left), is the way to boost ARPU. Earlier days, it was thought that ARPU could be boosted by "value" adds such as Video and Music. Unfortunately, the 4G expansion happened by offering high daily data AND TRAI brought in Net-Neutrality. Thus, these add-ons or Over-the-top services (Whatsapp), all were no longer potential revenue sources for service providers. i.e. users could use Saavn, Amazon Prime Music/Video etc. and enjoy these services without any payment or revenue to the telecom provider. Additionally, Reliance Jio also brought in plans that made it literally stupid for anyone to be paying more than Rs. 500/month for a cellphone plan. You can get unlimited calls, roaming AND good data for that much. Instantly forcing Airtel/Vodaphone to lose revenue from their high-paying customers, further bringing down ARPU. So, as it stands in Nov 2018 Jio ARPU : Rs. 130/- per user (despite the telecom industry crying fowl on it's supposed discounting). Airtel ARPU < Rs. 90. Think of it. Airtel was a Premium Telecom brand. Jio was a "freebie" brand. But Jio earns more per user than airtel!! Airtel/Vodaphone-Idea cannot increase tarrifs anymore, so they have only one way to fix this problem: Get RID of all low paying customers. From the new tariff plans and announcements, their current target seems to be Rs. 35/month as a minimum threshold to remain on their network. I consider that a FAIR pricing to remain on the network, but they needed to handle the transition for customers like you (and me) better, by introducing a gradual way to SPEND our current talktime as Rs. 35/month recharges. The days of 100% telecom coverage and dual sim are numbered. 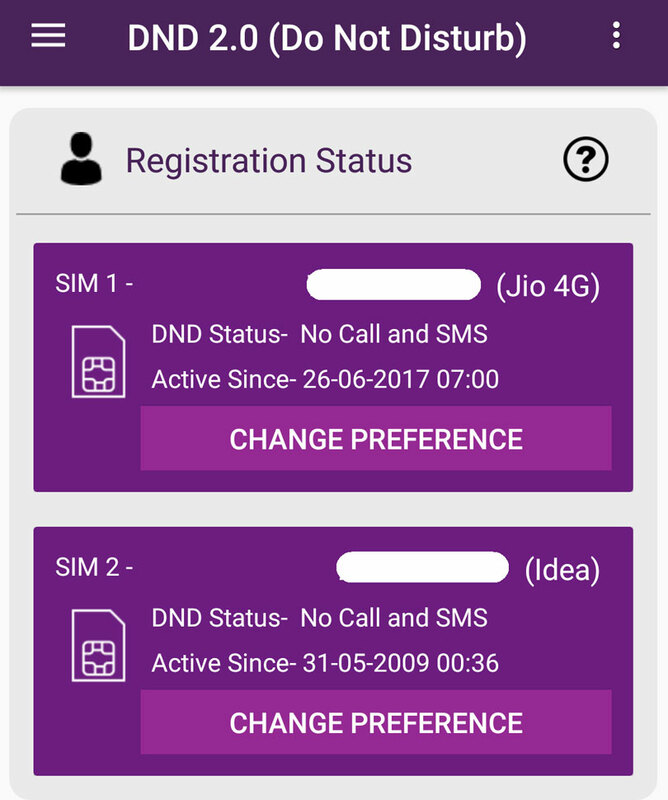 It is time TRAI also allow a way out for dual-sim subscribers to consolidate their two numbers into one sim and operator. If they do, I will merge my current two SIMs to one operator (Jio). Airtel/Vodaphone-Idea don't seem to realize that while Jio started off with cheap tarrifs, I will stick to it as they are pretty fair and stable in terms of pricing and charging me (I know Sucheta Maam will diagree with this) but just last week Idea deducted Rs. 8/- for some VAS that I never subscribed to (some "hot wallpapers", which is more insulting to me). Jio has never done that. That is a single reason I will stick to Jio. All those who want to swith to BSNL, watch out for all the SMS offers for "hot wallpapers". That seems to be their single largest revenue source. Given that it is a public sector entity, I think it is time someone files an RTI to find out how much they earn from that crap. Same issue with both my idea and vodafone numbers. And dont expect any solution as the govt and the regulators are hardly bothered. What do you expect from a govt which came to power on the businessmen's monies. They will obviously dance to their tunes. Its only Khaunga aur apne doston ko khilaunga. Me and my family members have been receiving these threats for some time. Here's my revenge: I pay for 3x mobiles voice/sms and have an airtel DSL. Total cost to me is about Rs 10-12K per annum. Now if I cancel my DSL (max 30GB/month) and accept Airtel's Rs 399-84d-3x plan, I get unlimited calls, SMS, 1GBx3=90GB/month 4G speed data. I save between 3000-5000 per year. Now BSNL and MTNL GSM will be the preferred network for the users after Introducing Minimum recharge by AIRTEL, VODAFONE IDEA AND TATA DOCOMO to extend sim Validity. MTNL GSM operates in Mumbai and Delhi circle and on a first recharge of Rs 24 in MTNL Mumbai GSM, user gets 1 year of outgoing and incoming service and later on from second year onwards MTNL Mumbai GSM validity can be extended to again 1 year on a Recharge of Rs 84. BSNL offers a 180 days of validity on a recharge of Rs 36.